Explore the roots of yoga with Johanna Grundy from Let’s Yoga. You will be taught a yoga sequence that can be practised at home. After a short break you will have a chance to learn about saponification, a traditional soap making technique. 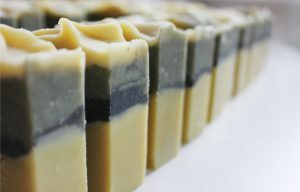 Explore the qualities of the most common oils, herbs, clays and essential oils used in soap making with Zivile Fornari from DYGO. You will get to know how to formulate your own soap recipe and most importantly we will be making palm oil free, vegan, organic soap to take home with you!! You do not need any prior experience of yoga or soap making to attend. Tea and light lunch will be served during the workshop. Contact either Johanna or Zivile to reserve your place now.